Last week I had no jetlag because I fasted on the day I left San Francisco. I did take it easy though; I like taking it easy whenever the opportunity arrives. On Monday NRC Handelsblad published my article about Sony’s Project Morpheus VR helmet. It was also in nrc.next, on Wednesday. During the week I made an effort to post some older NRC articles here (in Dutch): Papers, Please, Luxuria Superbia en drie Nederlandse nominaties (IGF Awards), Zo verdien je een fortuin met een brokkelig bouwspel (Minecraft) and Een dief met vrijheid (Thief). That afternoon I visited town hall to request a new passport, and brought my iPhone back to the store, as its battery had died prematurely. On Tuesday I was interviewed by Thijs Kaagman about games journalism. It’d been a while since I’d thought and talked about that topic, so it took a while for me to warm up. That afternoon I visited Two Tribes to discuss their next game. At night, I bought a new 42 inch Sony TV, a KDL-42W705B to be precise. The previous, 7 years old one has been moved to my office. What’s nice is that the new TV’s screen diagonal is a couple of inches bigger, yet the hardware itself is not; it actually feels smaller in the room (and it weighs significantly less). The image quality is great too, but I was surprised by how bad the remote and on-screen menus are. Why don’t they ask the PlayStation guys to take care of this? On Thursday, nrc.next and NRC Handelsblad had a small VR follow-up I wrote, triggered by the (rather unexpected) Oculus acquisition by Facebook. nrc.next also printed mini reviews of Infamous: Second Son by Harry Hol and Luftrausers by Stefan Keerssemeeckers, both of which I edited. That afternoon I visited Radio Een Vandaag to talk about the Oculus VR acquisition. You can listen to it online (in Dutch). At night I had the first proper game dev hobby night with Hessel Bonenkamp in a while. I decided to go back to Game Maker (from Unity, which is just overwhelming) and made a quick prototype of a bazooka-armed dude with insane jumping and kickback physics. I almost managed not to get stuck. On Friday I visited Kars Alfrink at his new Vechtclub XL studio. After that I took the train to Delft, where I interviewed Lennart Sas at Triumph Studios, one of the oldest game development companies in The Netherlands. This should result in an article about Triumph’s latest, Age of Wonders 3, which comes out today. On Saturday we celebrated Mia’s fifth birthday with five of her friends. It was my first preschool birthday party in decades! 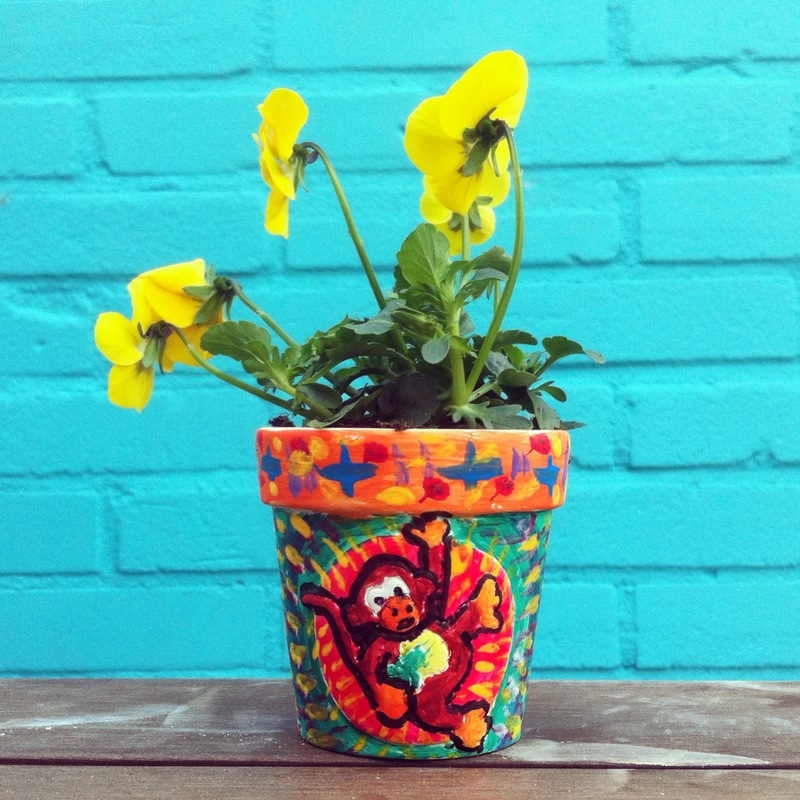 We painted flower pots, among other things. And I had a swell time.